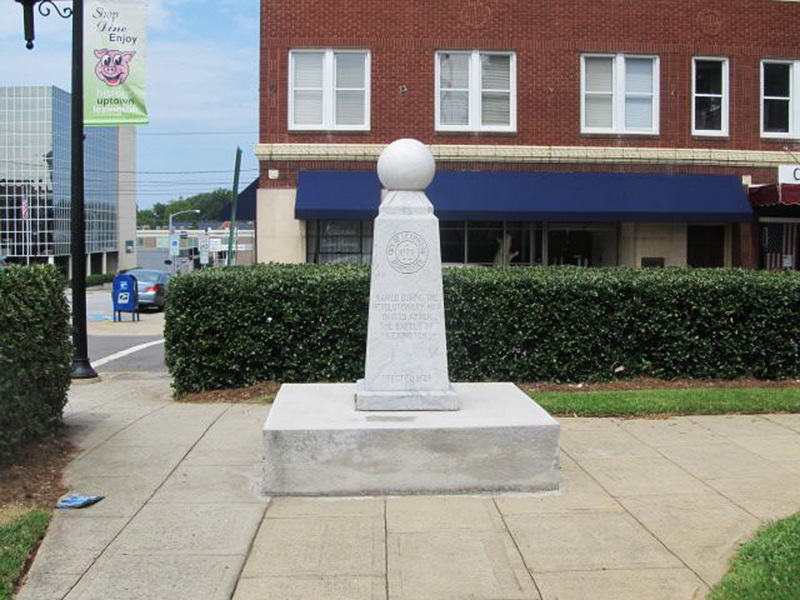 The City of Lexington memorial is a marble column that tapers as it rises. Atop the column is a ball resting on a carved base. The column stands on a small marble base which in turn rests on a substantial concrete base. The total height of all components is estimated at five to six feet tall. Above the inscription is a circle carved inside a larger circle. The year 1828 is carved inside the inner circle. Around the inside top of the larger circle is carved CITY OF LEXINGTON and around the inside bottom is the word INCORPORATED. The Battles of Lexington and Concord, Massachusetts fought on April 19, 1775 were the first two battles of the American Revolution. The Lexington Square located at the intersection of Main and Center streets is home to the Historic Davidson County courthouse along with several memorials and markers. 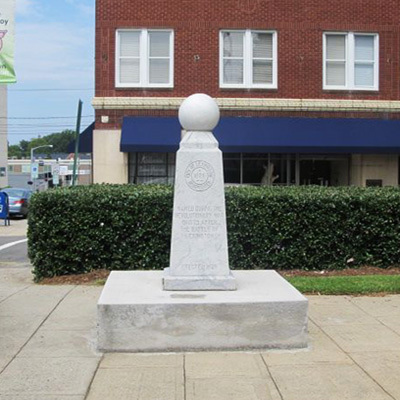 The Confederate Dead monument stands in the southeast quadrant of the square, at the intersection of S Main and E Center streets. The northeast quadrant (intersection of E Center and N Main streets) hosts memorials to Davidson County Vietnam War and Afghanistan Veterans, WWII and Korean Veterans, and WWI Veterans who died in the Great War. The marker to City of Lexington stands on the northwest quadrant (intersection of W Center and N Main streets) by Captain Benjamin Merrill and Daniel Boone and Nathanael Greene memorials. Bushes and trees surround the quadrant where the memorial is located.